Come and join us for the first Coffee Morning of 2018 this Friday 19th January from 10am - 12 Noon. It will be lovely to catch up, and you can take a look at the latest exhibition in our Gallery Foyer. 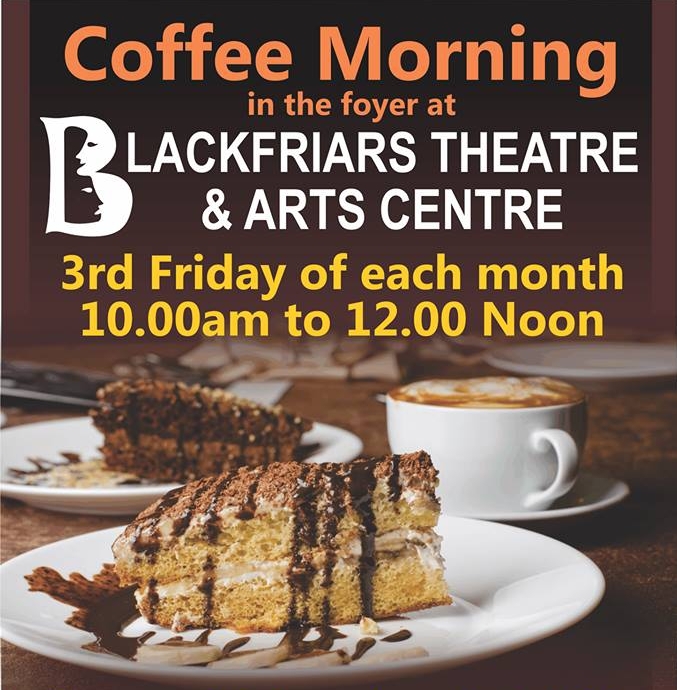 A cup of Tea or Coffee and piece of cake for just £2.50.